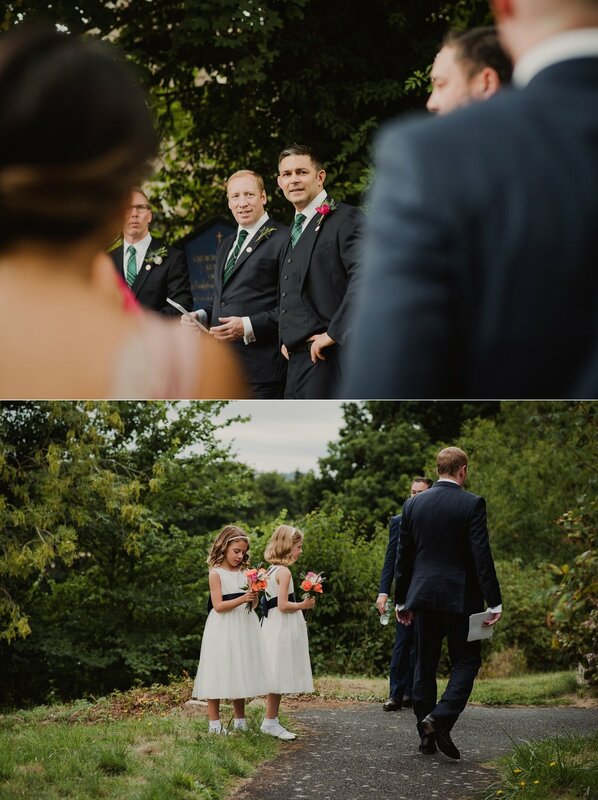 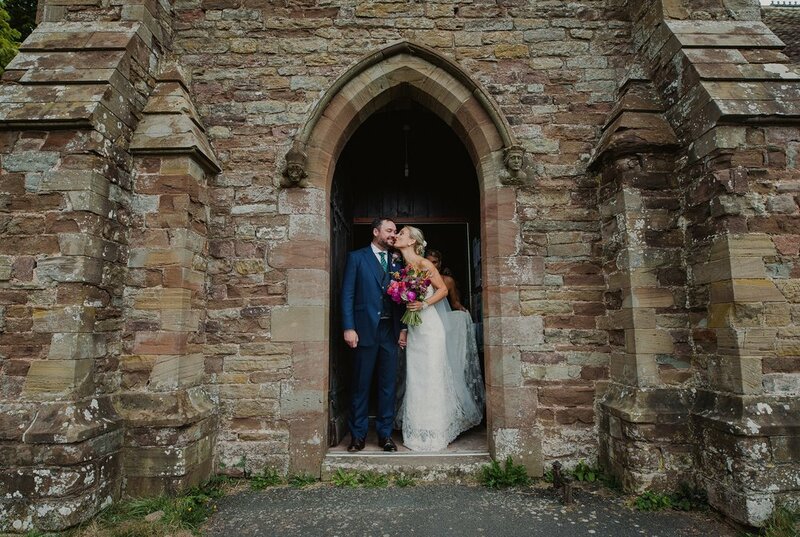 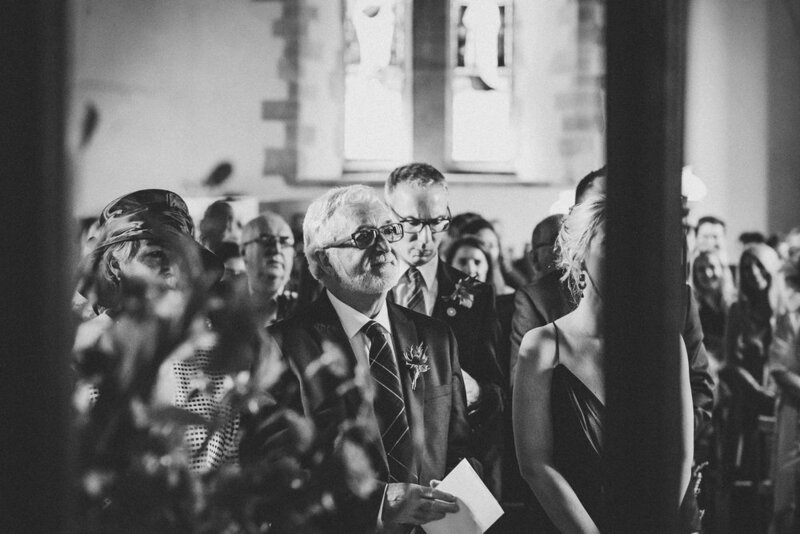 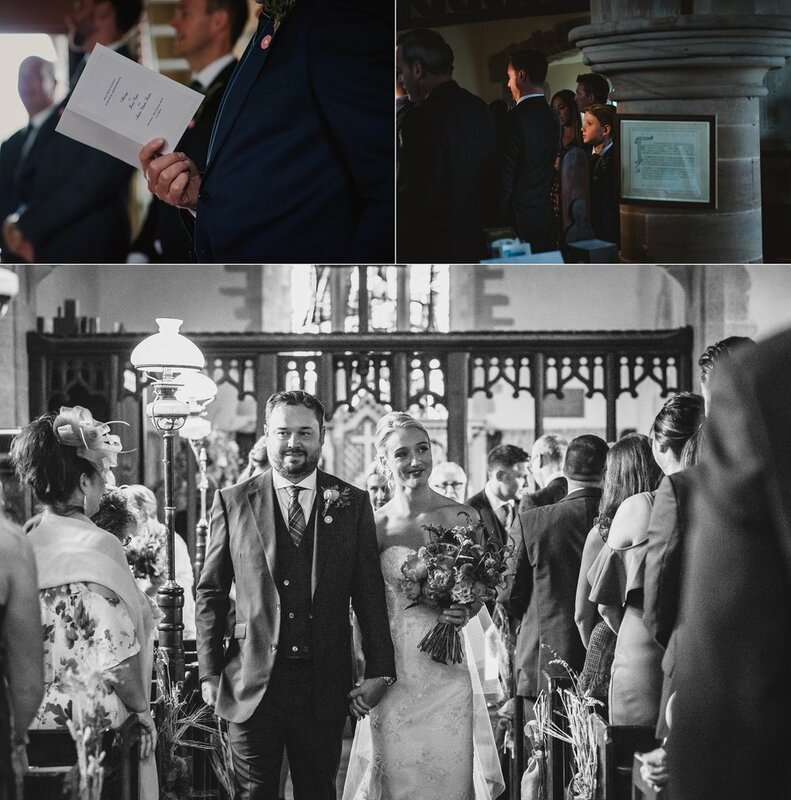 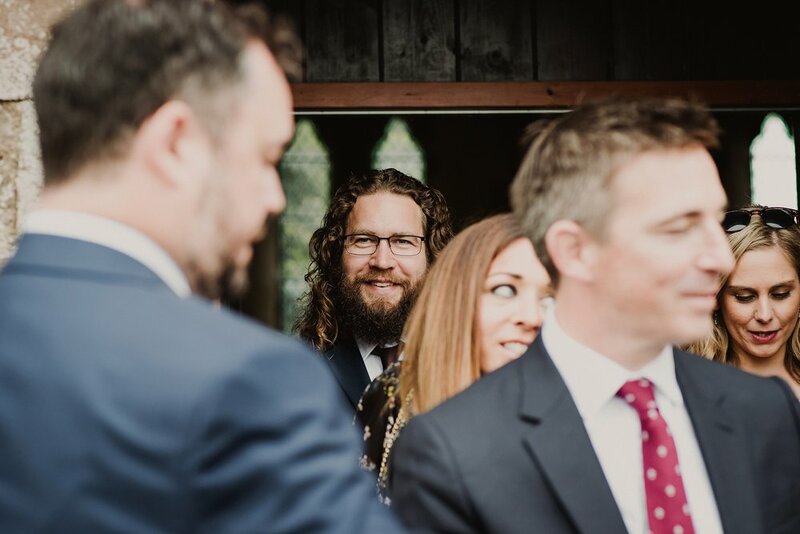 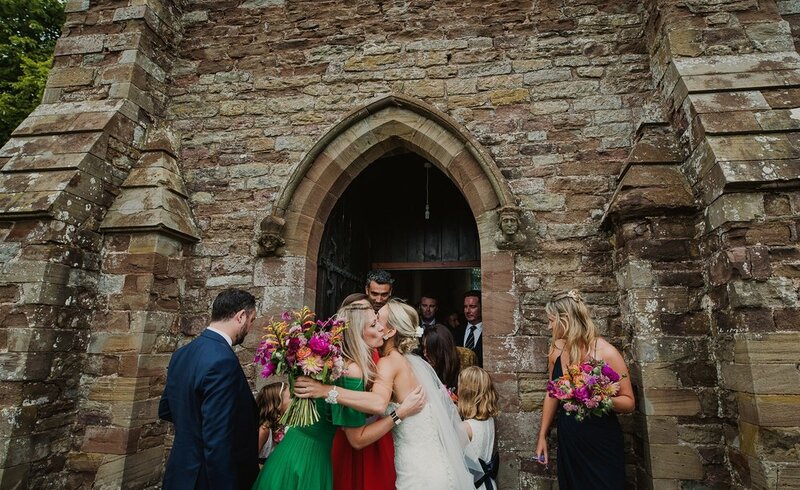 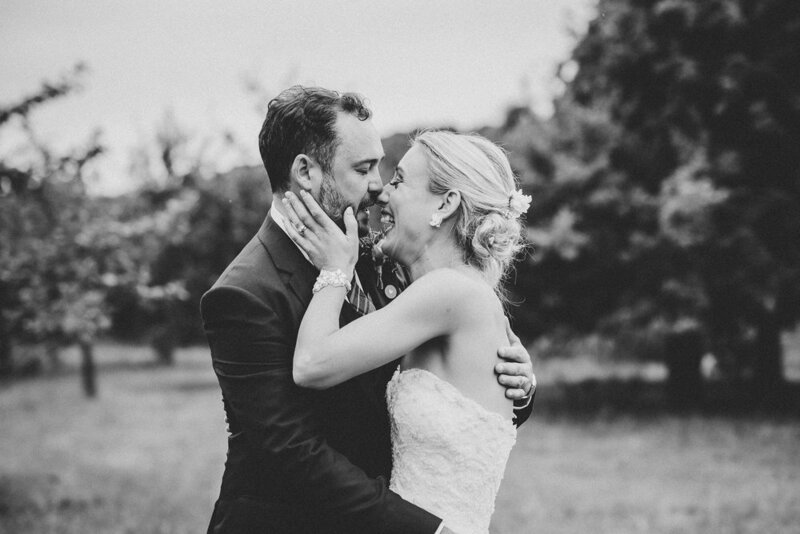 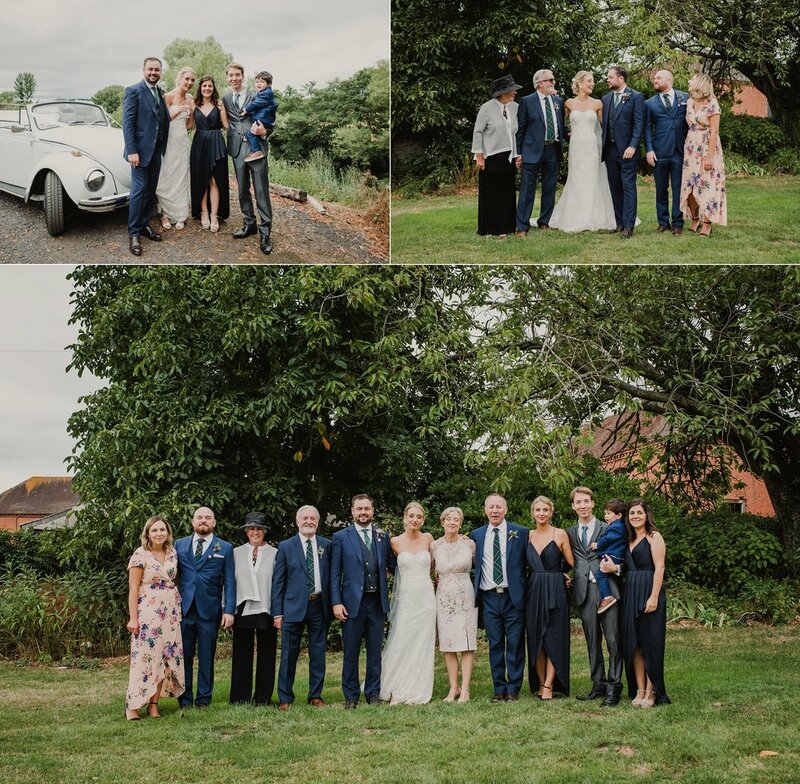 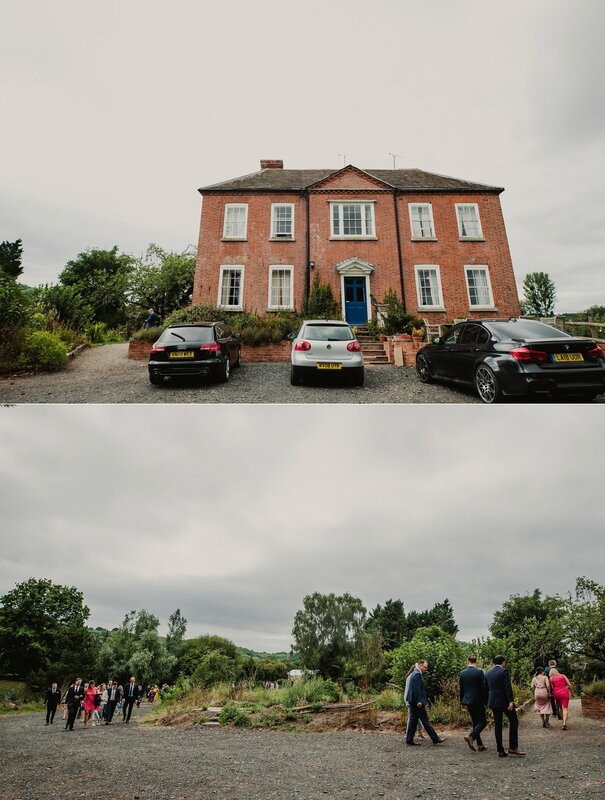 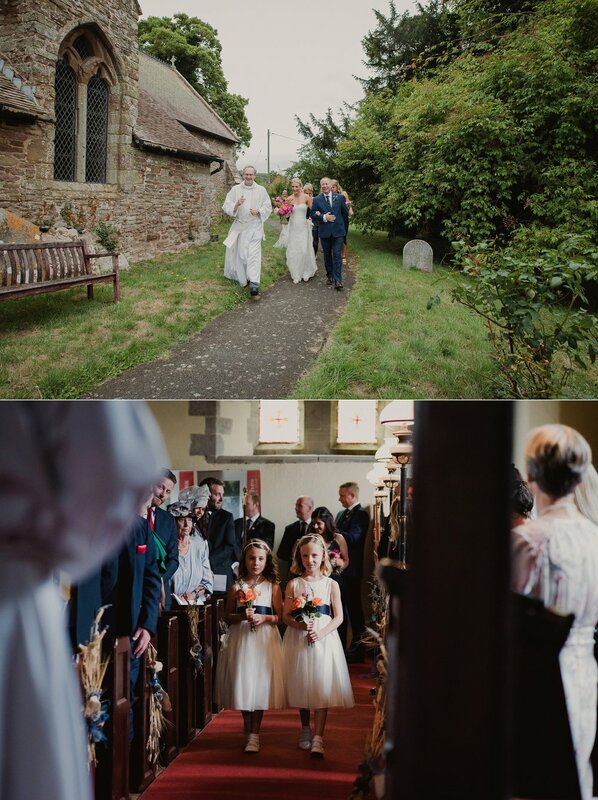 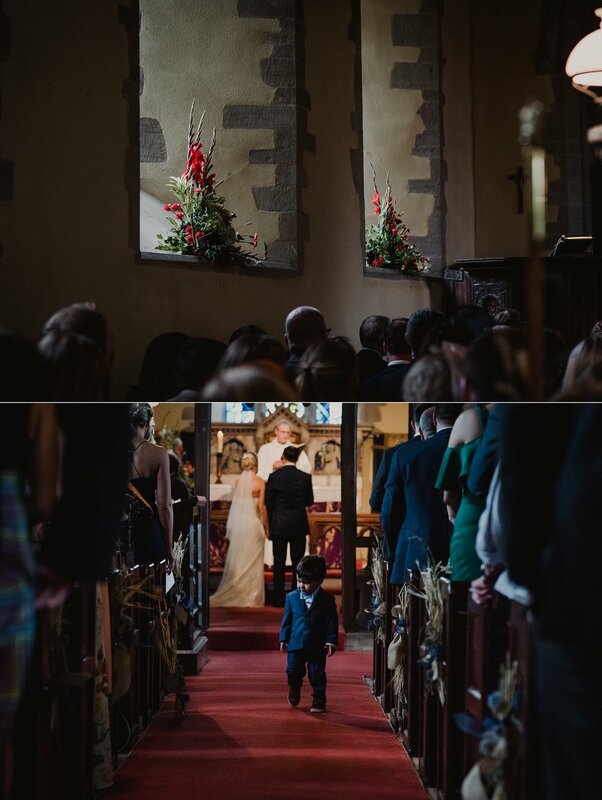 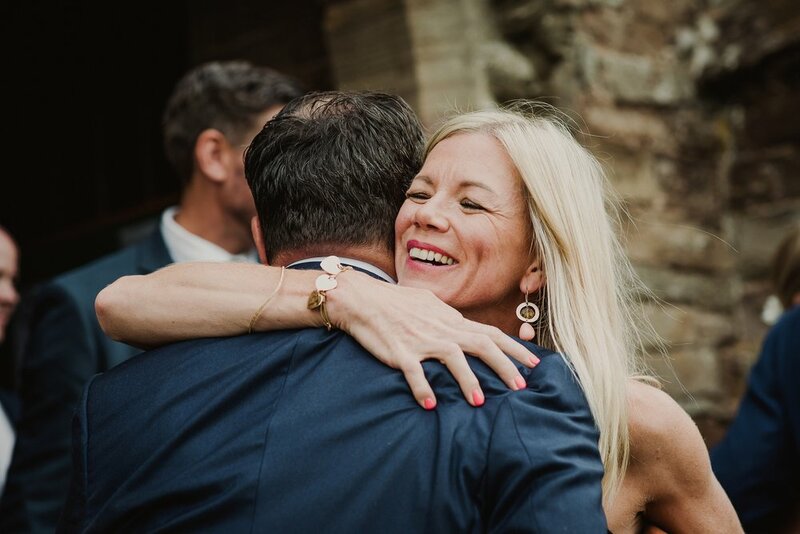 The couple and their families are an international bunch, living all over the globe - so in finding the perfect spot for them to all meet for their special day, Andy's Worcestershire childhood roots led him to this spot. 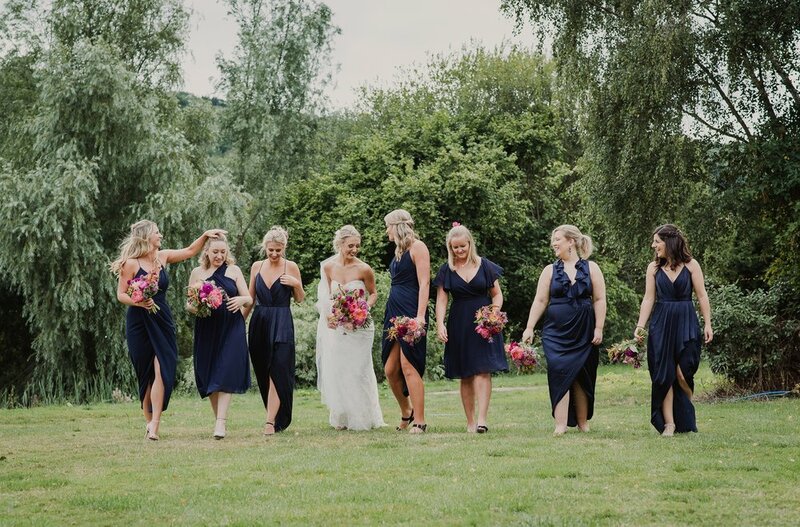 Orleton Court B&B is a working farm and B&B, surrounded by beautiful countryside and is a truly lovely wedding location. 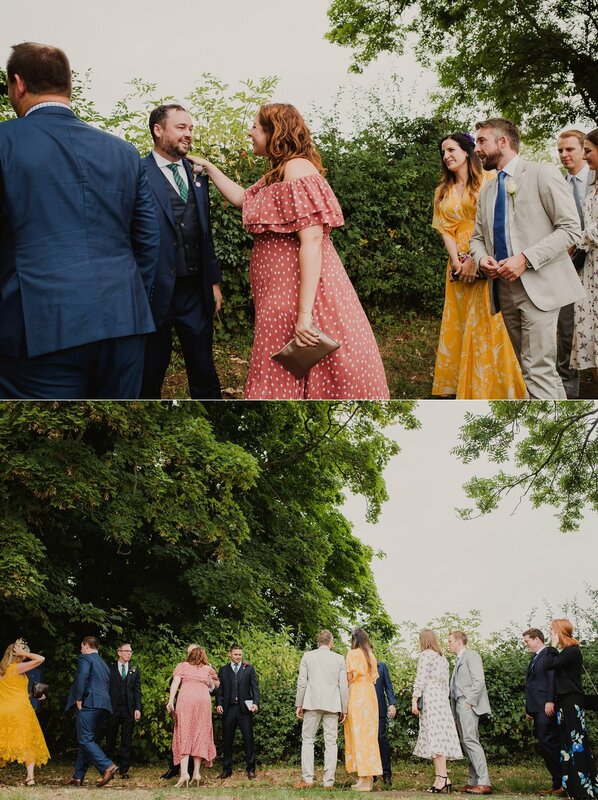 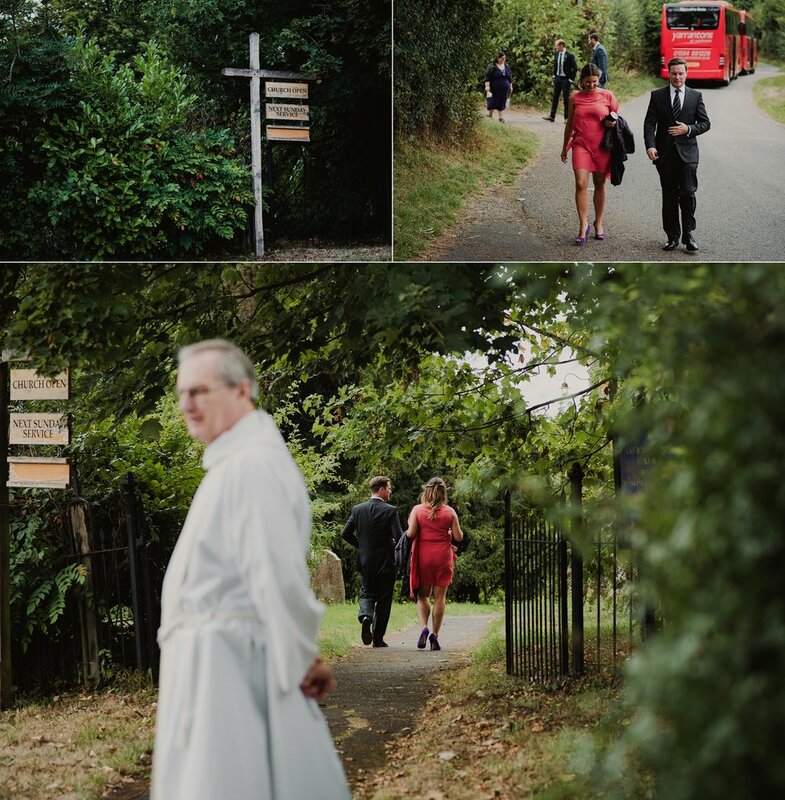 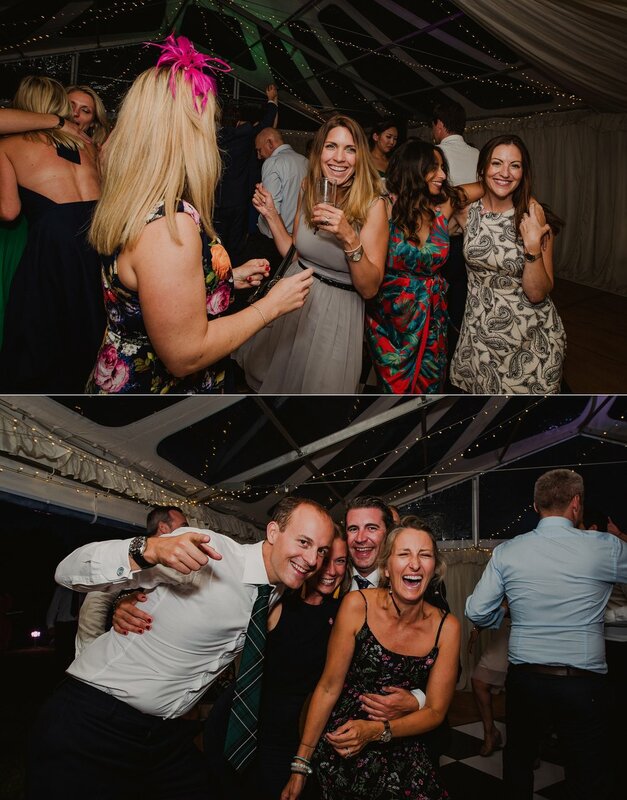 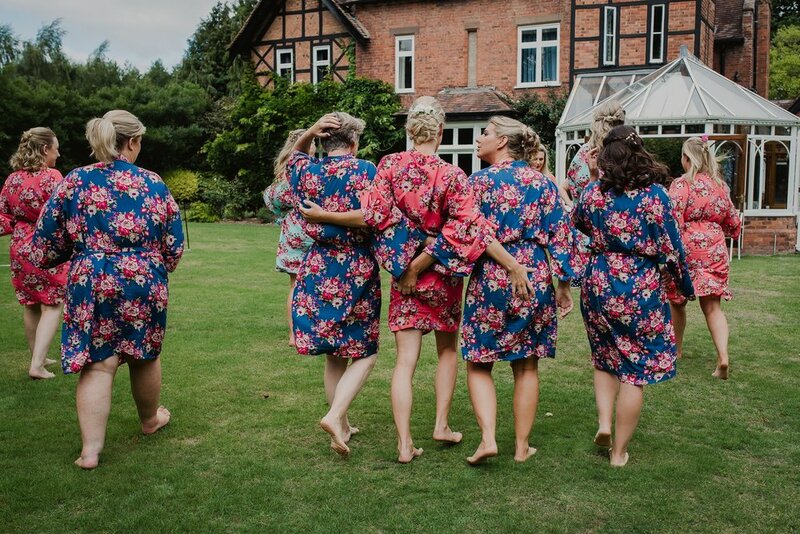 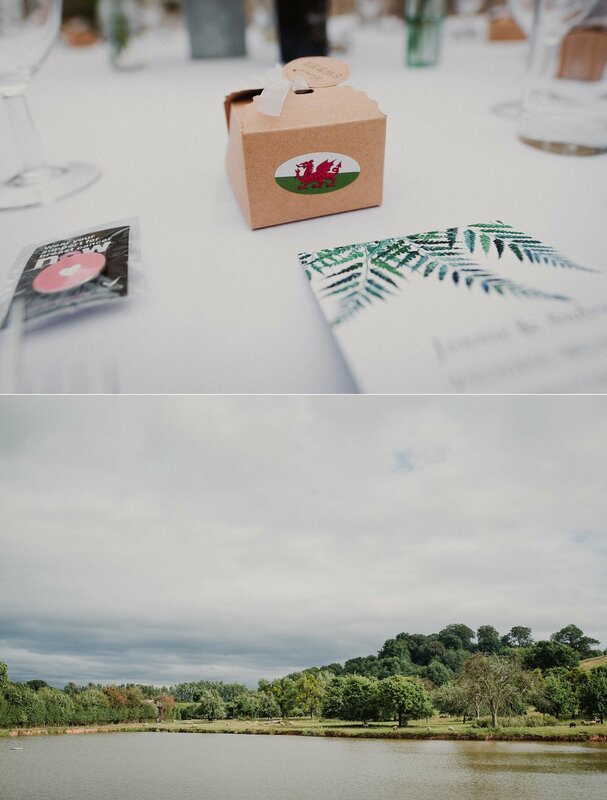 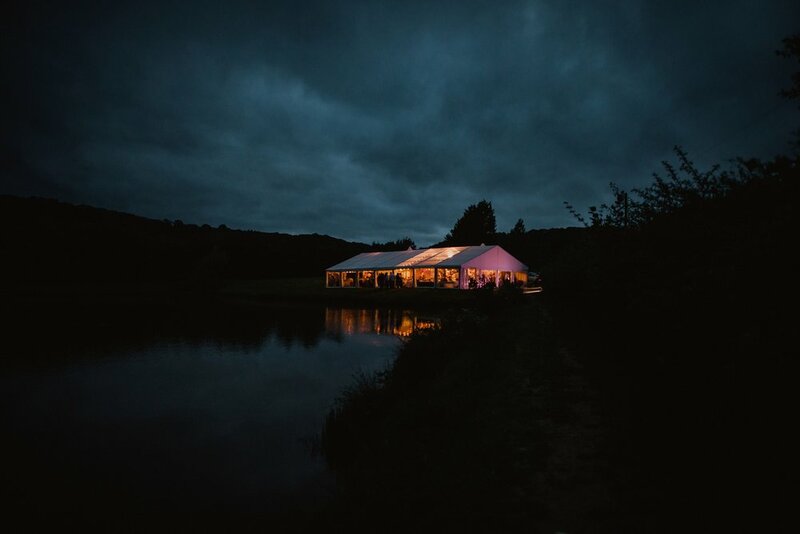 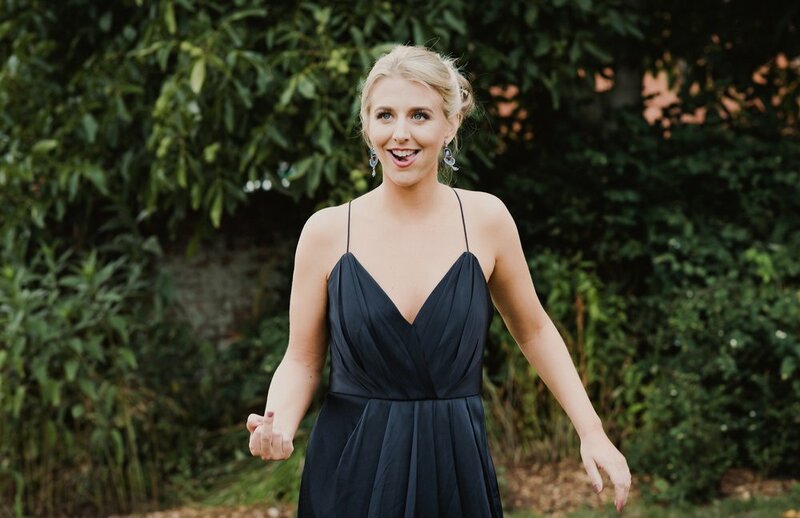 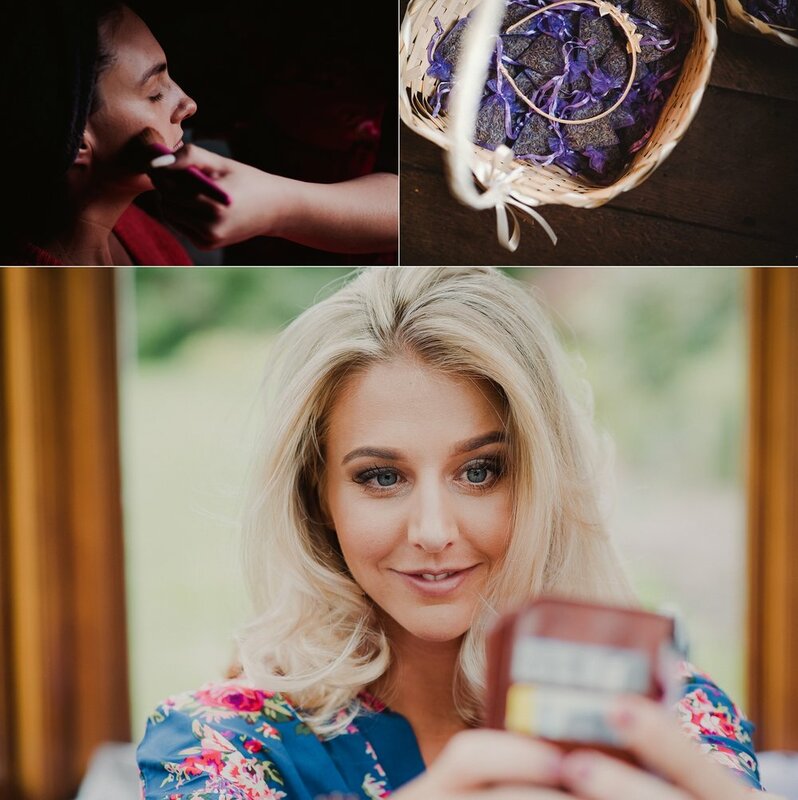 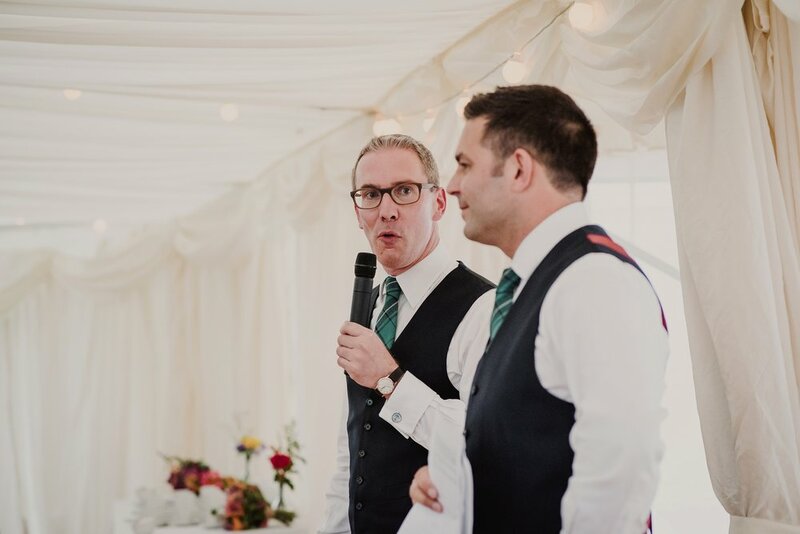 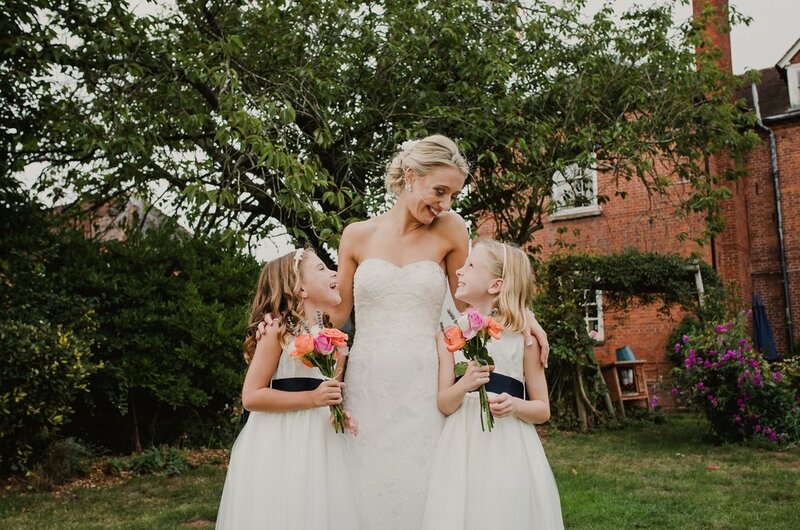 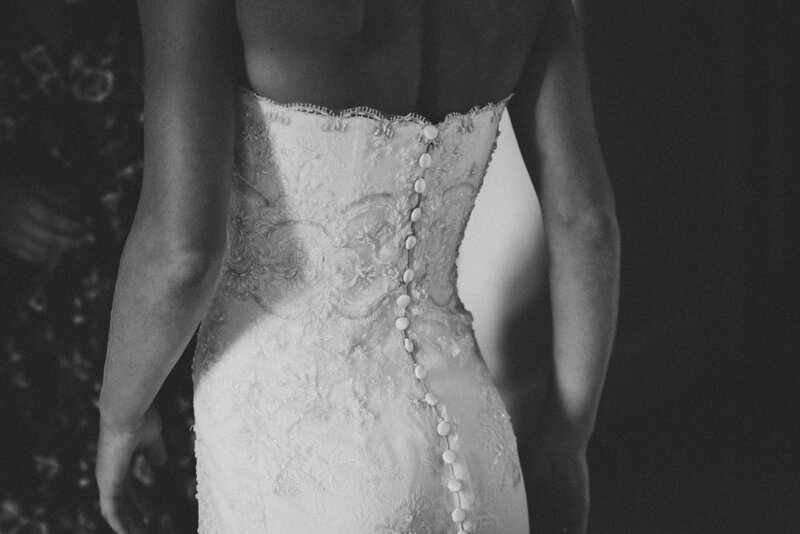 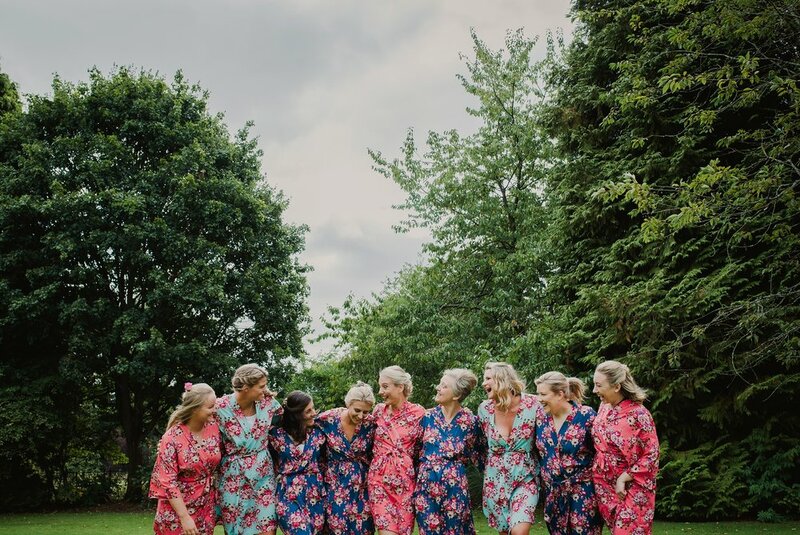 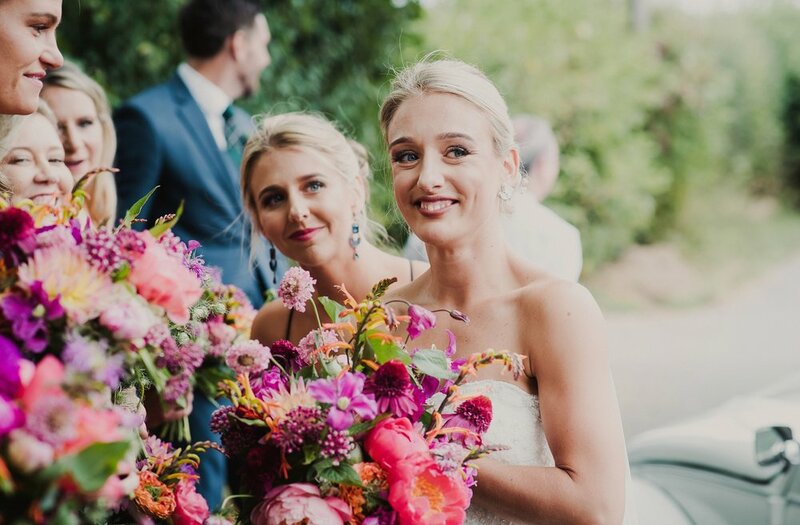 With a marquee pitched up by the fishing lake and top scran by Hereford-based caterers A-Zest it was every bit the relaxed, informal wedding day.